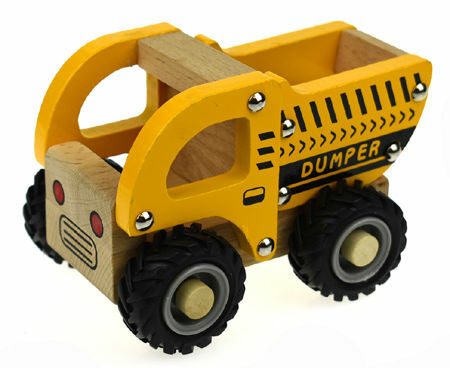 Wooden Dump Truck Rubber Wheels is a beautifully made perfectly sized wooden construction vehicle. Solid and well finished this Dump Truck has a working tipping tray so it can be emptied and filled as many times as you want. This Dump Truck is wonderful for imaginative play. We like this because: "Great colours, great size and what would your play building site be without a Dump Truck ?"